From logos to flags to punctuation marks, symbols are all around us. But we're so used to seeing them that we never question why, for instance, the heart symbol is anatomically incorrect or why the Bluetooth symbol is named after a tenth-century Danish king in need of dental work. 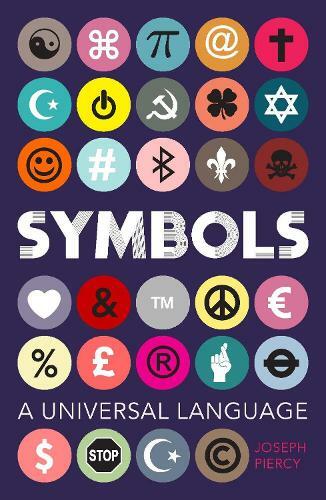 Symbols shows just how much importance has been attached to the smallest and simplest of ideas, and features over forty of the most significant symbols from religion, politics and popular culture down the centuries. Did you know that 15% of all tweets on twitter contain the hashtag symbol? That's over 41 million uses of # each day. Or that the 'smiley face' originated in Massachusetts in the 1960s? This fascinating book highlights the roles symbols have played throughout history and how they have shaped our understanding of the world. If you've ever puzzled over what certain symbols mean or how they've come to mean what they mean, then this interesting little book will help you unlock their mysteries.